The purpose made room includes technological features such as remote operated Skylight windows with integral rain sensors, which automatically close at the first sign of rain. A Philips Hue lighting system provides the owners with the ability to alter the mood of the room from the comfort of the sumptuous power reclining cinema seats. Providing the backbone for the home cinema system is a Yamaha RX-V3050 AV Receiver, Oppo BDP-103D Blu-ray Player and JVC DLA-X5000 video projector. 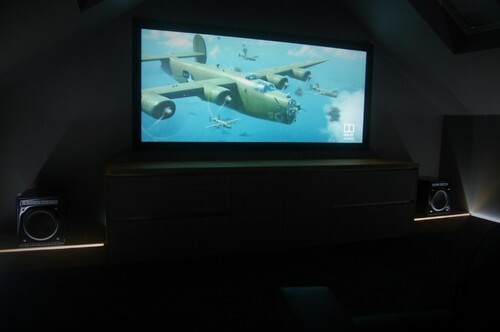 Three KEF Ci3160 Reference in-wall speakers are concealed within a reinforced stud wall behind the acoustically transparent projector screen manufactured by screen specialist, Projecta. The inclusion of four KEF Ci200QR in-ceiling mounted speakers enable the cinema system to meet the acoustic standards set by Dolby Laboratories for a Dolby Atmos enabled surround sound system. 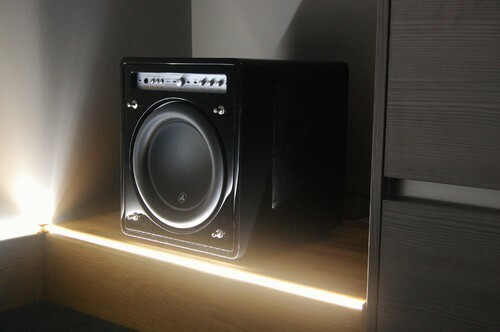 These are in addition to the KEF Ci200QL rear surround in-wall speakers, mounted in custom made oak framed enclosures. To provide added depth and body to the cinema experience are two JL Audio f110 v2 subwoofers, taking the total number of speakers in the system to eleven. 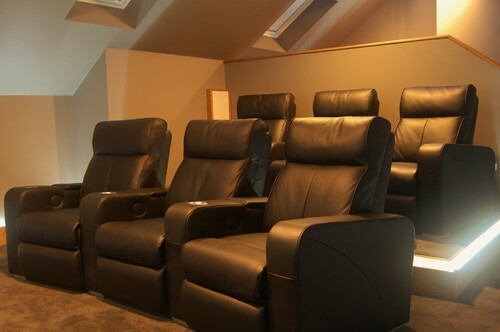 The system provides an immersive and engaging cinema experience, whatever your movie preference. 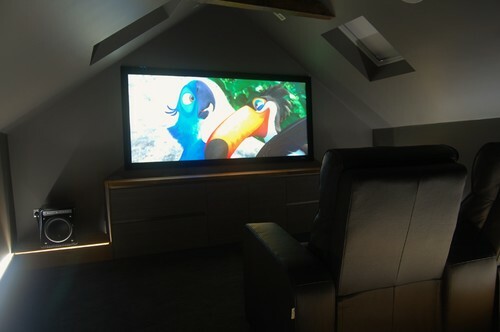 Our installation team carried out the calibration to the sound and picture soon after the finishing touches were taken care of within the room.